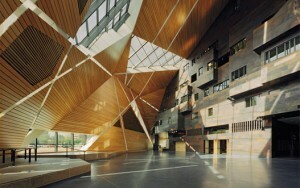 The McNamara Alumni Center is in the heart of the University of Minnesota’s Minneapolis campus, with Memorial Hall reflecting the beauty of Minnesota in water, wood, copper and iron, and streams of natural light. It is a great place to gather and learn. We’re excited to partner with The Graduate Hotel in Minneapolis as the official hotel of MinneWebCon 2018. The Graduate is next door to the McNamara Alumni Center, and connected by an underground tunnel in case of a sudden April snowstorm. Rooms will be $160 per night in the conference block. Call 612-379-8888 and ask for the MinneWebCon 2018 block or reserve online by March 24.